The following 4 days we will drive South towards Castilla la Mancha. This land in the heart of the Iberian Peninsula, offers a route of immense cultural heritage, spectacular nature sites and Natural Parks, ancient popular festivities and delicate arts and crafts. 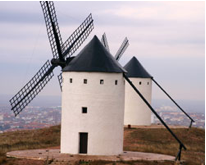 The villages depicted in Don Quixote are also not to be forgotten. Its delicious Cuisine is based on abundant and good game and natural products such as vegetables, fruit and pulses. World wine know are its Denomination of Origin products, such us its wines, Olive oil, Saffron and Manchego Cheese. With the largest vineyards in the world, one has the chance to explore its wine zones, visit vineyards and wine-cellars, identify the varieties and taste wine while you enjoy the region’s gastronomy specialties. The other half of the trip we will explore Valencia , a province of contrasts that invites you to discover its natural beauty spots by the coast or the mountains. A special kind of light enhances colorful towns which will seduce you with exquisite Mediterranean cuisine. Miles and miles of beaches and magical coves where you can enjoy brilliant sunshine .And the city of Valencia… a cosmopolitan capital that invites you to discover the unique and surprising cultural complex known as the City of Arts and Sciences,learn about marine species at the Oceanographic. This land has the so-called denominations of origin aliments, meaning they are controlled products from certain demarcated areas, offering all the premium quality this involves. Thus, there are artichokes, bagged dessert grapes, rice, mountain cherries, olive oil , bell peppers, black truffles, honey, giant prawns, sea urchins, and of course, oranges and lemons from countless orchards dotted throughout the region – this is just a brief list of the select repertoire of fine foods and typical products from the Land of Valencia. Also renowned are the Utiel-Requena wines, A Denomination of Origin with a Unique History. Situated in the interior, the (D.O.) is a large area almost exclusively used to cultivate grape vines. Some seven thousand families and more than one hundred wineries live from viticulture. Walking historic centre tour with official guide and Tapas welcome dinner at Tavern. Check out. We will get our bus to travel to the province of Toledo.120km ( 1 ½ hours). 10:00/10:30 /Visit Cheese factory . 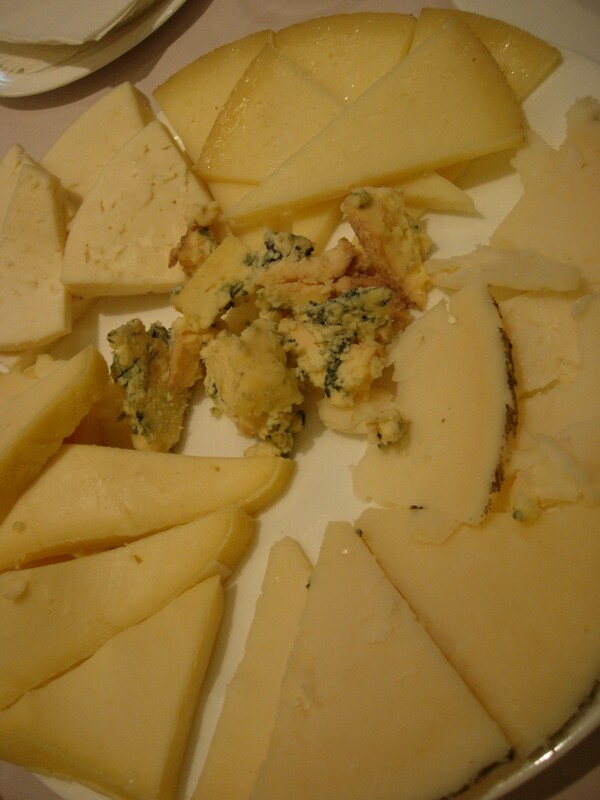 One of the kings of Spanish cuisine is Manchego Cheese. The famed quality fo the goats cheeses of La Mancha universilized by Cervantes, is proven by a strict control in which the latest technology combines with the most traditional of preparations. His owner will welcome us and explain all the process. A tasting will follow. 12:00 Visit to Olive Oil Mill .The hundred year old olive trees in this extensive mountain district offer visitors the chance to try this “ Liquid gold ” with a strong, fruty flavour that bring the aroma of the Mediterranean to these inland regions. Visit to olive trees field and tasting. Lunch will be at a Country side restaurant/specialties of the region. Afternoon panoramic visit to the famous Mills of Consuegra town. . They were used to grind wheat for bread making, aided by the force of the wind. Travel South to Ciudad Real . 90 km, 1.15 hours journey. Check in a fabulous “wine hotel”, a 4 star establishment with minimalist décor, located next to the winery, a few metres from the Guadiana River and surrounded by an incomparable natural environment. Today we will Visit the first winery of our trip. The winery, built on the site of the vineyard itself, has an avant-garde design that not only does not clash with the surroundings but rather blends in with the landscape of the Toledo mountain foothills. It combines modern design and tradition, charm, contrasts and a romantic flair. The result leaves no one indifferent and makes one eager to visit the installations. It has 130 hectares of vineyard that is devoted to seven different varieties of grape: Tempranillo, Garnacha tintorera, Merlot, Syrah, Cabernet sauvignon and Petit verdot for red wines; Chardonnay and Sauvignon blanc for white wines. We will enjoy a tutored specialized tasting and lunch with this winery wines. 9:50 a 17 :00 aprox. With lunch.Guided visit Daimiel Natural Park by 4×4 wheel vehicles. This is an endingered wetlands area. Tablas de Daimiel exists thanks to the merging of two different rivers. In there are underground waters that used to surface in the area and registered high metering levels. These floodwaters arising from the ground are called Ojos or Ojillos in the area, and they are used to name a number of sites in the area. The most famous holes are the ”Ojos del Guadiana”. At the Visitor’s Centre information is provided on the nature site and its surroundings in six exhibition and audiovisual rooms. We will visit the water interpretation Centre and the Regional Museum of Daimiel is situated in what is known as the “Doctor’s House”, a refurbished building of the traditional architectural style which is now disappearing, in which both residential and agricultural uses are combined. The residential area is arranged around a central patio with narrow metal columns supporting the gallery. On the other hand, the area destined for agricultural use boasts a large door giving access to the farmyard with different structures related to farming. Around 17:00 depart to our next destination, ( 60km, 1 hour way). Campo de Criptana /Alcazar de San Juan, it has contested with Alcalá de Henares the honour of being the Don Miguel de Cervantes’s birthplace. If time permits, we might visit an artisan producer. Panoramic view of Mountain Range of the Windmills, some of the mills that inspired Miguel de Cervantes to create the famous adventure of Chapter 8 of Don Quixote, which date back to the 16th century and still retain their original machinery. Morning visit to one of Castilla la Mancha,s top picks wineries. His latest endeavor encompasses everything from grape cultivation to the making and marketing of the most carefully elaborated wines in the region. With a 120-hectare vineyard and antique style winery revamped with state-of-the-art winemaking technology, (stainles s steel tanks, temperature control systems…) Campo de Criptana is creating wines that will rival in style and quality the finest traditional Spanish wines. Lunch will be at a great restaurant, a unique experiencie inside a cave. 45 min away , we will visit the modernts winery in this region. His owner will welcome us. The exceptionallity is the hallmark of this cellar, since each plot is intended for the development of a different wine, ensuring an unique and inimitable flavor.The high altitude combined with the loam soil, high limestone content and little organic matter are the perfect symbiosis to allow the grapes to ripen. Inaugurated in March 2003, this 1000 hectare estate, has 421 hectares (over a 1000 acres) under vines with varieties such as Tempranillo, Cabernet Sauvignon, Merlot and Syrah amongst others. This single estate vineyard has provided the perfect setting to let the winemaker´s imagination and creativity run wild, with plantations and plots of international varieties growing closely with local varieties. Around 18:00 we will head to Valencia. 3 hours away. Check in this friendly and modern 3 star hotel which enjoys an unbeatable location and can be found on the most commercial street in Valencia. It is just a short walk from the Town Hall, the cathedral, the old part of the city, the City of Arts and Sciences and the city’s main tourist sites and areas of cultural interest. Half day Orange Tour including lunch at the village of Carcaixent, home of the orange. We will learn about the history of the orange, Its origins and The story of Pastor Monzo, get to Know and compare the architecture of Orange stores from the beginning until now, as well as how the orange manipulated and marketed since the late 18th century and today. We will visit an exhibition farming implements and utensils of the field and the house orange trees. Afternoon Visit to a Cooperative of olive oil mill and winery founded in 1963, and the olive trees groves land. His friendly owner will company us and explain us everthing. Back to Valencia around 18, 19 p.m. Time at leisure. 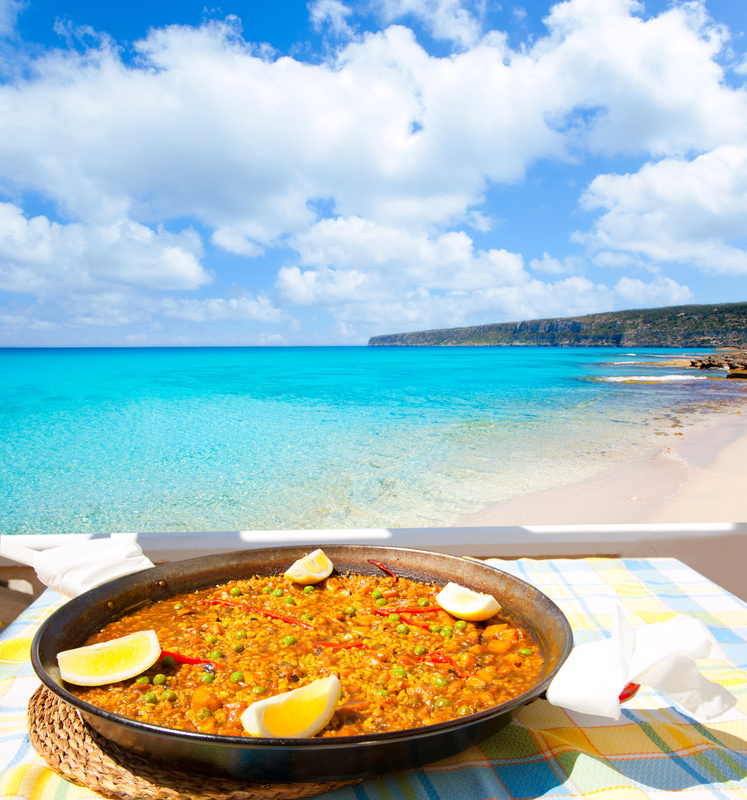 Experience a hands-on cooking class at the prestigious cooking school of Valencia and learn how to prepare the authentic paellas¡ Valencia is home of the most varied and best Paellas in Spain¡ Lunch of your efforts. Visit of the Science Museum, the great 21st-century science museum for getting to know in a didactic, interactive, and entertaining way everything to do with life, science, and technol ogy. It has become a world reference point for interactive science and one of the most visited destinations in the country. Its main objective is stimulating curiosity and critical thinking and at the same time surprising and amusing the public by its contents from the world of science, technology, and the environment. 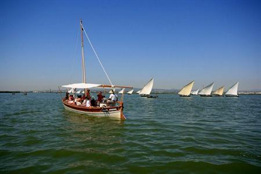 Morning boat trip at la “ Albufera “ Lake, in a type of boat typical to the region, which used to be used for freight and passenger transport and which was the only way to access the Island of El Palmar. Visit to the Rice museum and rice plantation situated at a beautiful hermitage in the Country Side. 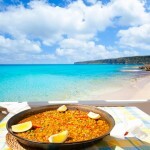 Lunch at a very prestigious restaurant by the lake, specialized in paellas. Afternoon visit to Cullera. Bronquil . Located to the south of the channel L’Estany, it is also known as El Dorado beach. Back to Valencia. Time at leisure. Just half 45min from Valencia, on our way to Madrid, we will visit a family winery at Utiel-Requena, A Denomination of Origin with a Unique History. 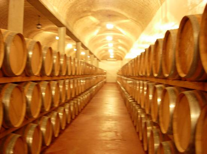 Utiel-Requena is the only region in which wine has been continuously produced for more than 2,500 years. There are more that 40,000 registered hectares of vineyards with eighty percent being of the Bobal variety, a grape almost exclusively grown in the D.O. Utiel-Requena whose value has been increasingly recognised. Lunch and back to Madrid. 3 hours away. Check out. Time at leisure until transfer to airport. Visit of Consuegra, Almagro, Criptana, and Cullera towns. Booking at restaurants of your choice.